Brooklyn-based Squarebuilt has launched their website. After flipping through Lance’s blog posts, I came across these pics. This is what it’s all about. 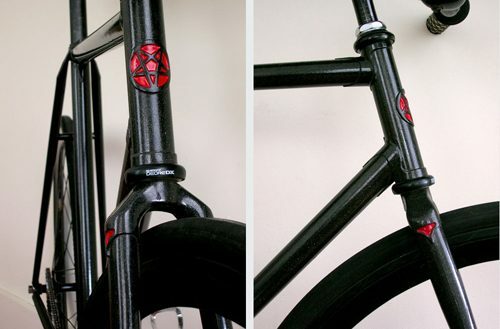 A bike bred from fire and is just pure evil. Dark Horse indeed dude! I can’t wait to see what Lance comes up with next! Great job man!